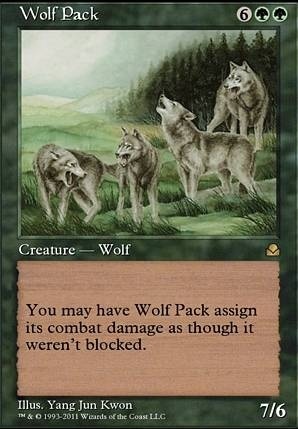 You may have Wolf Pack assign its combat damage as though it weren't blocked. I don't like giving cut suggestions, but these seemed like they would be your most underperforming cards from a glance. 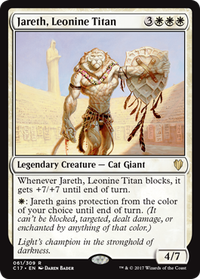 I may be wrong, but from an outside perspective, these seem like the weakest cards in the deck. Maybe you can slot some card draw in their place. 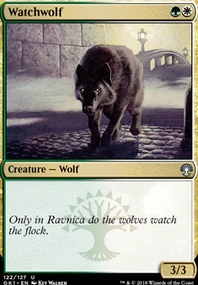 Quilled Wolf - Cheap if needed in the early game, nice mana sink for late game. 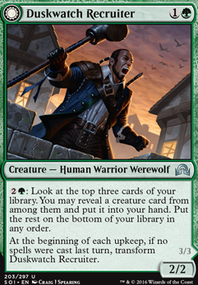 Kessig Cagebreakers - Though not a were/wolf the tokens can get out of hand esp when your losses accumulate. 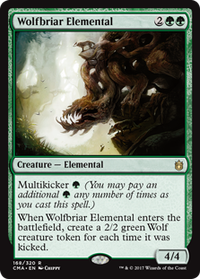 Wolf Pack - 7/6, better than trample. 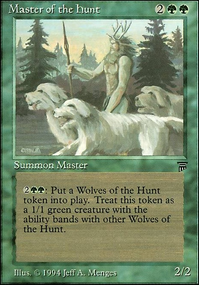 Wolf Pack is not in standard. Please cut down cards to 60 for better deck constancy or throw in four Eldritch Evolution's and try it.